I never should have even consulted this thing, much less followed without hesitation… argh! I silently fumed as I stormed away from what appeared to be some sort of inconspicuous military facility. As an ultra-late adapter of the smart phone (I’ve only been in possession of such a device since summer 2014), I made an obviously amateur mistake while attempting to find my way to Gyeryongsan, supposedly my second national park of the weekend (check out the first here). 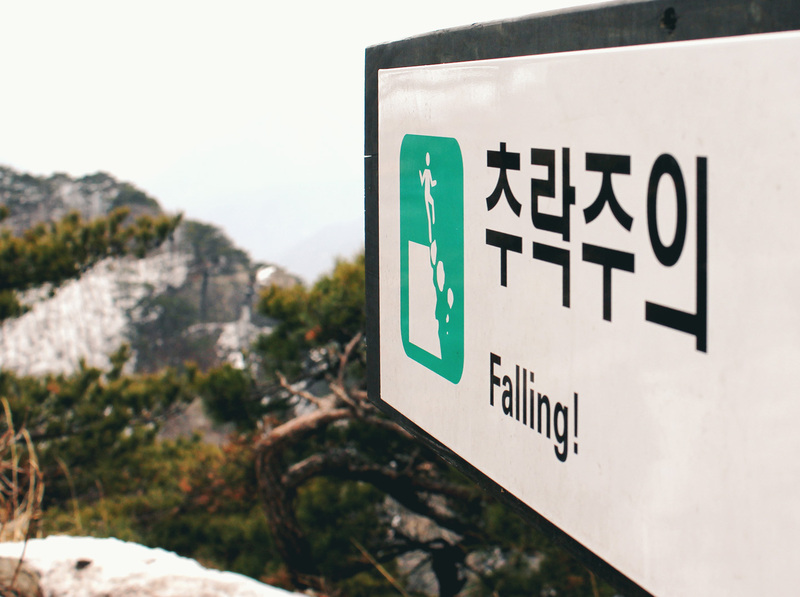 Rather than following the directions listed on the Korea Tourism website, or any number of hiking blogs, as I usually do, I simply put “Donghaksa” into Google Maps. 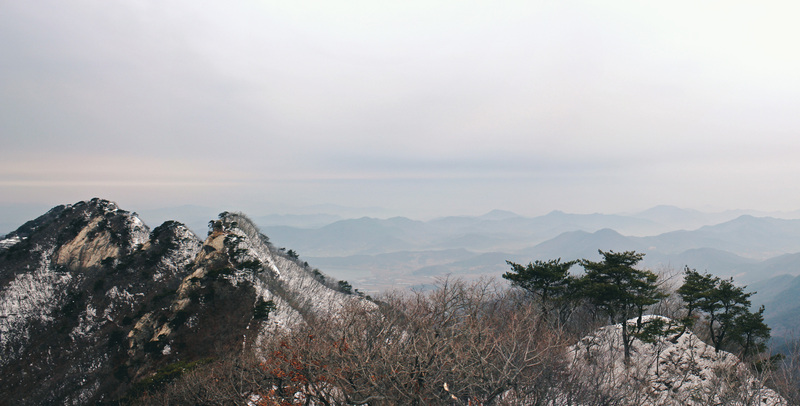 The apparent location appeared, on the map, to be nestled within the greenery of Gyeryongsan National Park, as it should have been. And so, I didn’t give it a second thought. I didn’t give it a second thought until I walked out of Banseok Exit #2, the eastern most stop on the mini Daejon subway system, and was the only person donning hiking attire. This never happens in Korea. If in the correct location, the subway car would undoubtedly be filled with others with a mission akin to your own. 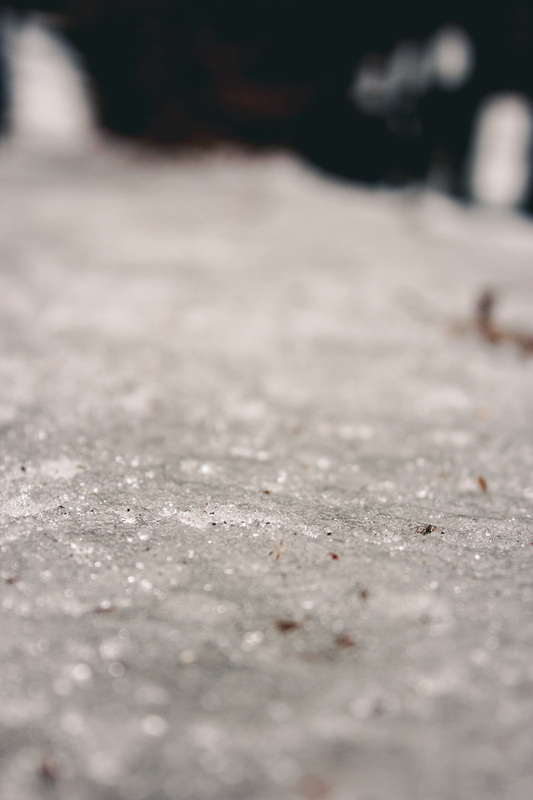 Ignoring the obvious clues that I was headed in the wrong direction, I walked along the increasingly desolate road. I was still headed towards greenery glimmering back at me on the smart phone screen; I forged ahead, still believing that the Google held all of the answers. If this is Gyeryongsan, I’m very unimpressed. The green “mountain” ahead of me was a 300-meter-high hill, devoid of trails, peaks or even trees. I continued on my path. After 20 minutes, I reached what should have been Donghaksa. Military barricades of some sort, Leading to god-knows-what stopped me in my tracks. I immediately, violently, spun around and booked it back towards the subway. It was already 8:20 am. I had planned to be well on my way to a peak by now! Not able to waste any more time, I hopped in a cab. ₩12,000 later, I was on a small street lined with hiking shops, chestnuts-a-roasting and restaurants dwarfed against a dramatic background of towering, rocky peaks. 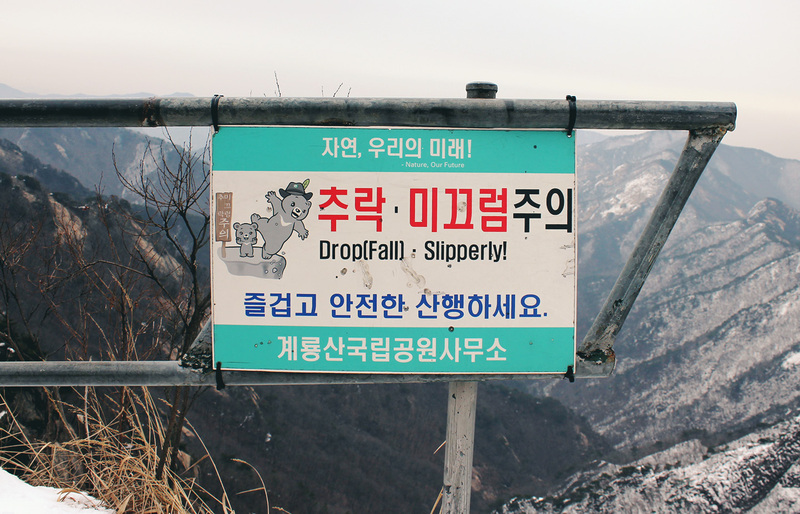 Following the advice of Klimbing Korean Mountains, I conquered a wonderful loop- opting for the steeper, longer ascent due to my bum knee, which hops on the struggle bus descending. Though I felt I started my hike late, around 8:45 am, the trail was still almost completely empty! 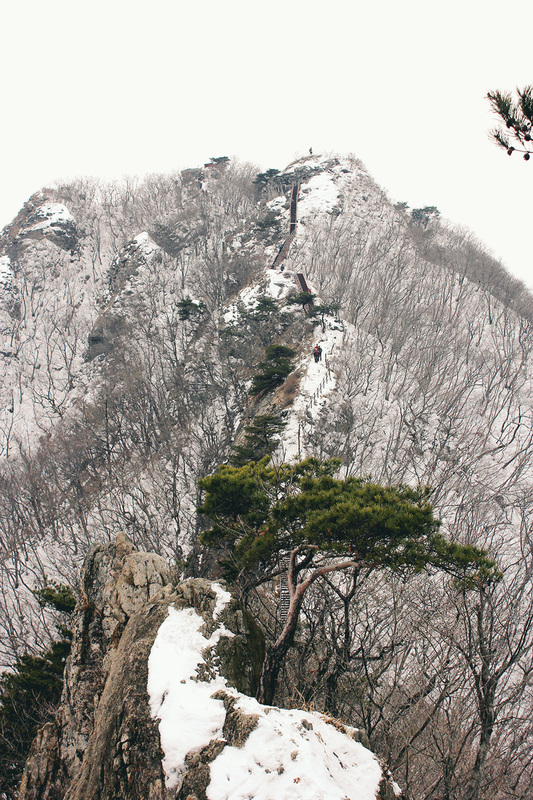 My route: Donghaksa Temple to Eunseon Falls to Gwaneumbong (816 meters). 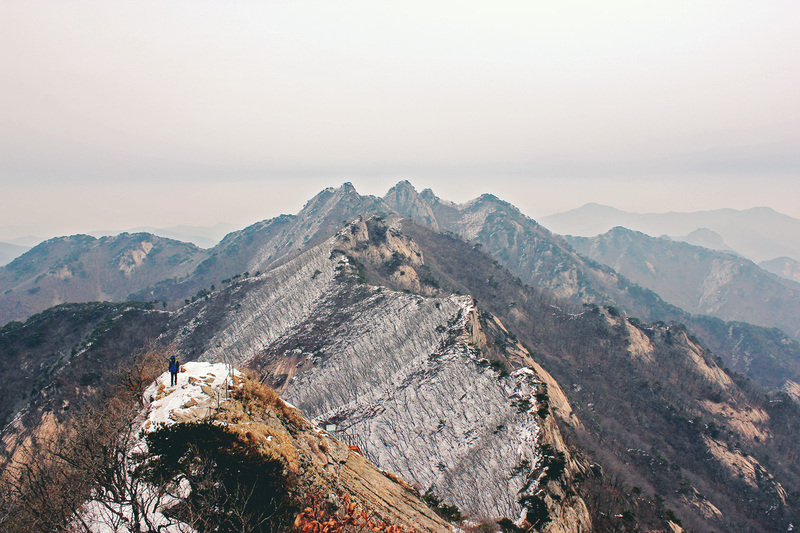 From this point on, I followed an awesome ridge to Sambulbong before descending back towards Donghaksa. 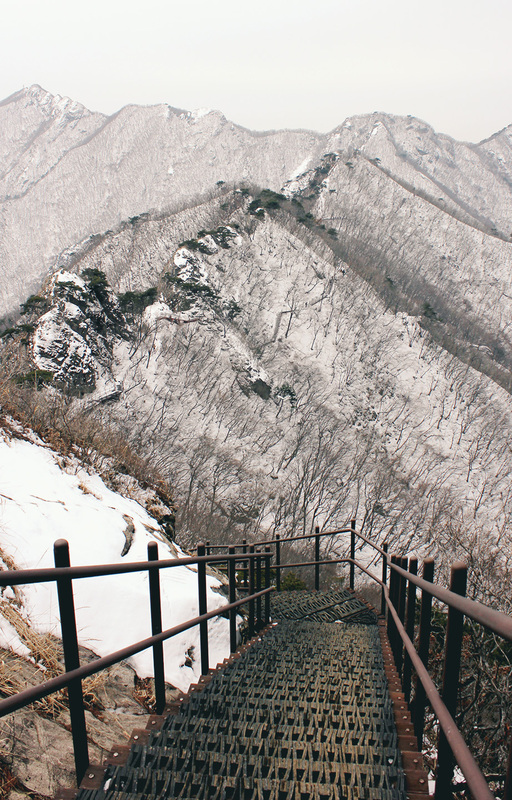 Covered in a thick layer of ice and subsequently snow, it was slow, cumbersome walking for most of my experience at Gyeryongsan National Park. I even strapped on my trusty crampons and whipped out my hiking sticks to navigate the narrow ridge (but not before taking more than a few precarious tumbles). Despite the state of the trail, it was a stunning, beautiful day. 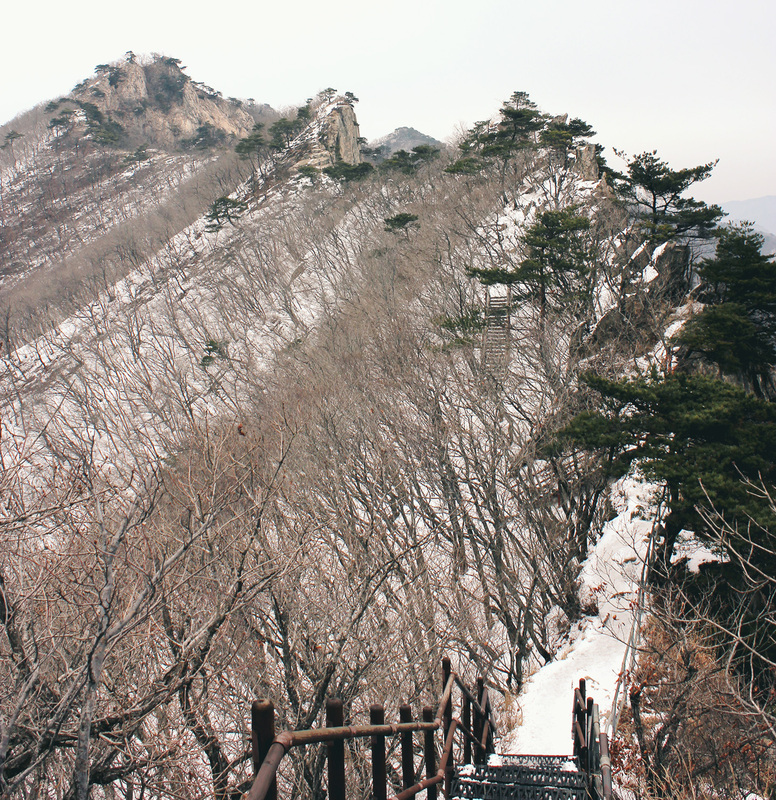 This hike reminded me of a shorter, easier Dinosaur Ridge, my favorite hike in all the land at the famed Seoraksan National Park. 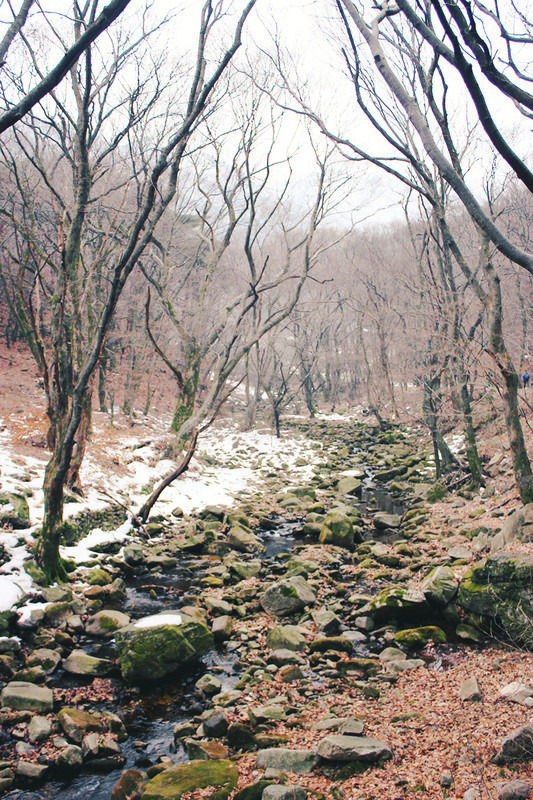 Totally worth a day trip from Seoul, Gyeryongsan National Park would serve as a great warm-up for Seoraksan. I wish I would have gone sooner! But, remember, whatever you do… don’t follow Google Maps. Looks fun! Just found your blog and gonna have to jump around a bit. Looks like we’ve both hiked a fair amount here. 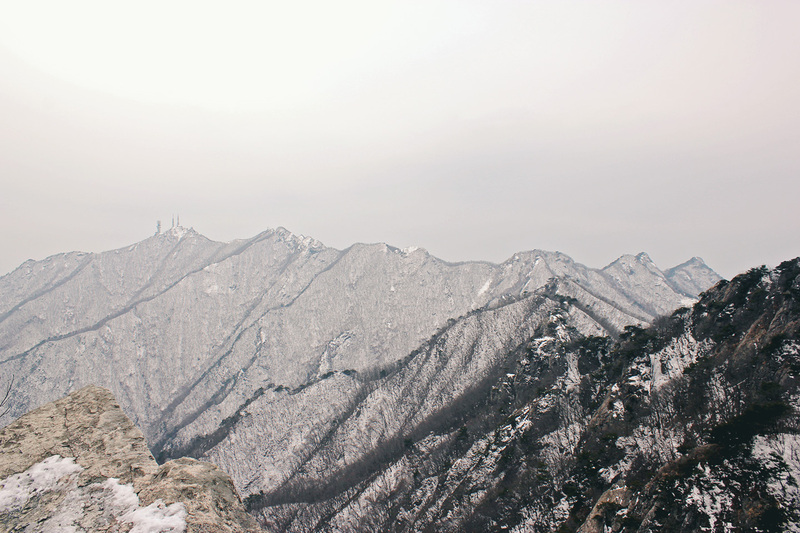 Whats your favorite Korean National Park?